Mark Jeneker had a difficult childhood, exposed to gangsterism, violence and drugs from a very young age. But five years ago, he decided to turn his life around. 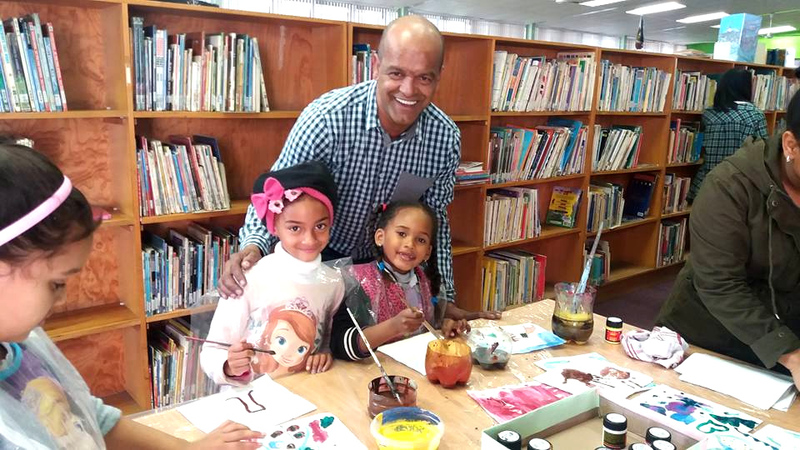 Every day, Mark runs free arts and crafts classes at the Mitchell’s Plain Library and Yellowwood Primary School. He welcomes about 500 kids per week. 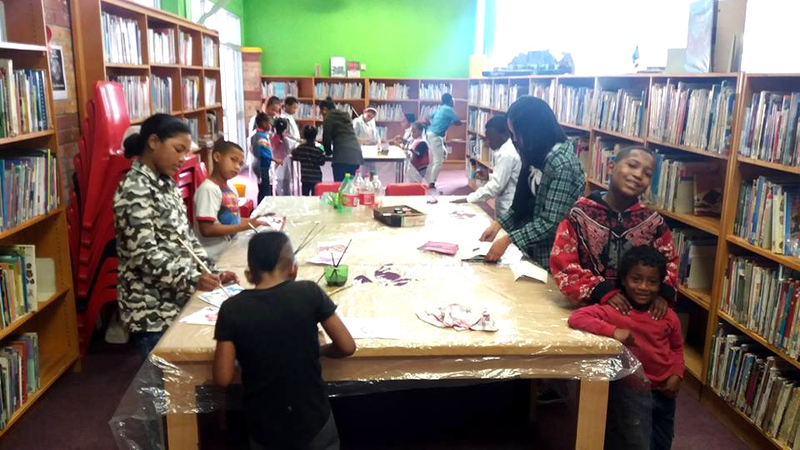 This year it will be the fifth year that Mark is actively involved in serving his community. He specialises in abstract art and creating 3D sculptures from recyclable material. Marks’ engagements and personality totally correspond to the profile of BAZ-ART. A few months ago, as we were busy looking for an Art teacher, he joined the team. 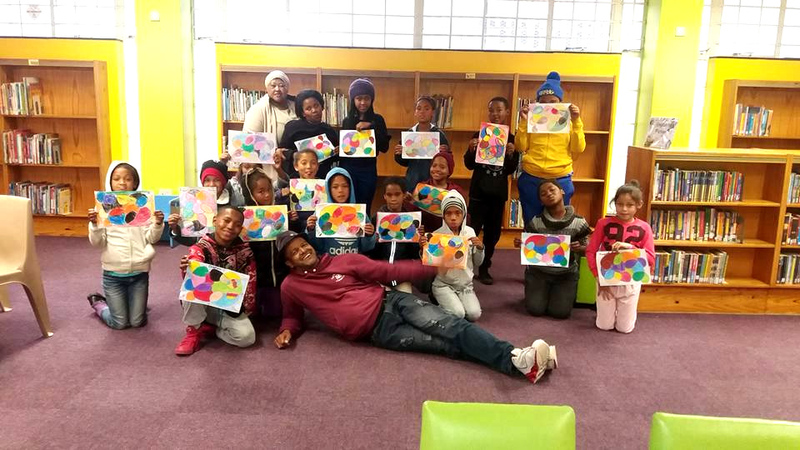 We decided to finance Mark’s courses in Mitchells Plain, giving him a salary and providing him with arts material. He has won numerous awards for the selfless commitment he has made to the community.